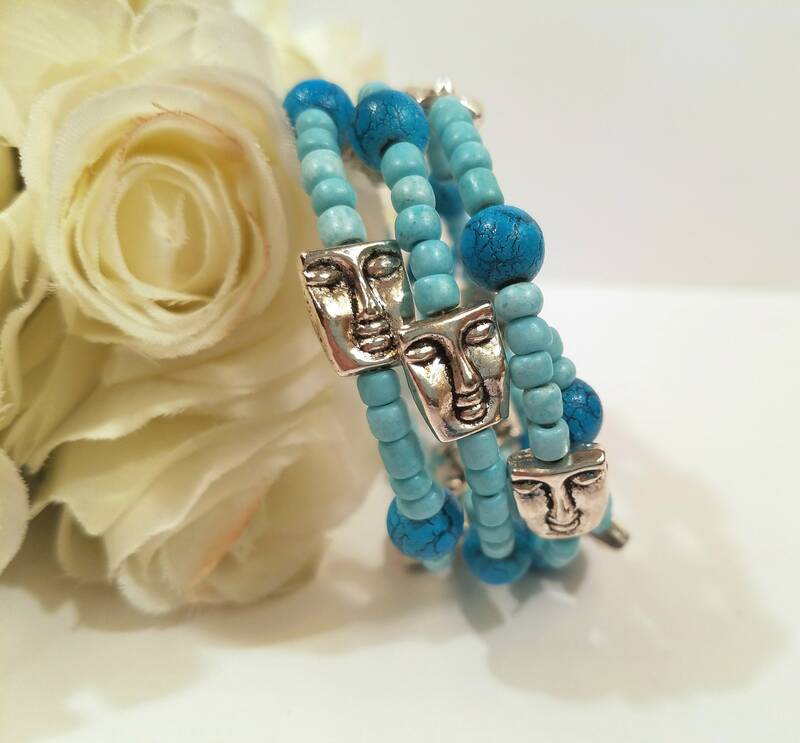 A wrap around bracelet with faces is fun to wear and quite a conversation piece! Memory wire is one long coil that looks like 3 separate bangles. The bracelet is finished with simple coils at each end. Versatile - goes with any style - casual or dressy. Memory wire adjusts to the size of the wrist (one size fits most) ...never loses its shape ...and is quick and easy to put on and take off - no clasp to struggle with. Start at one end, wrap it around and around your wrist, and you're ready to go! Makes a lovely gift - sure to delight anyone who loves blue and unusual jewelry! MORE BRACELETS...it's fun to wear 2 together!